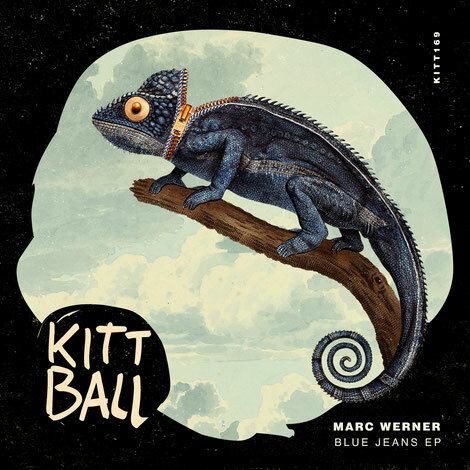 Leipzig’s Marc Werner returns to Kittball to release two house cuts entitled ‘Blue Jeans’ EP including collaborations with Shuja and Music P and a remix from Get Physical’s Martin Waslewski. Since 2007 Marc has been finding his way within his musical sphere and along his journey he’s had outings on Bunny Tiger, Kontor Records, Audio Safari and Kittball which act as an accurate reflection for his productions and stylings. His approach and graft has earned him sets at some of Germany’s biggest festivals like Sonne Mond Sterne, Airbeat One, World Club Dome and Sputnik Spring Break. Joining him for his ‘Blue Jeans’ EP is Shuja who has previous releases on Nouveau Niveau Records, Rodark and Kontor, as well as Germany’s Music P on vocal duties. ‘Blue Jeans’ kicks off with grooves balanced with shaky percussion and bassline. Martin Waslewski - who has outings on Get Physical, Stil Vor Talent and Exploited Ghetto - then delivers a tasteful remix with rolling drums, basslines and vocals before ‘Circle’ finishes things off with pads, melodies and sound design fused with Music P’s voice.